All of us have phrases we use frequently when writing. 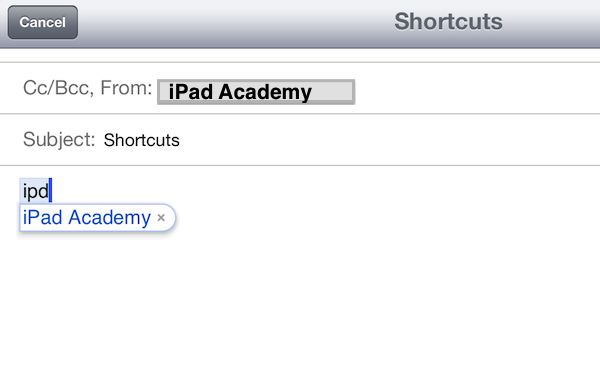 For example, I often type “iPad Academy” or “Thanks for contacting me” in my email messages. If you have phrases you type repeatedly, you can create shortcuts (abbreviations) for these phrases. The shortcut, composed of a few characters, automatically expands to become the phrase it represents. You can also create shortcuts to represent entire sentences including the appropriate punctuation. To create these handy shortcuts go to Settings > General > Keyboard and tap “Add New Shortcut…” at the bottom of the screen. Typing the characters of the shortcut pops up the phrase. To enter the phrase, tap the space bar and continue entering the rest of the sentence or type the punctuation you desire. When you create the shortcut, take care to select a series of characters that isn’t an actual word. Using common words in shortcuts will result in unnecessary and unwanted attempts by the iOS to expand the abbreviation. 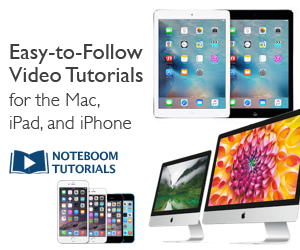 Kim, a member of my online iPad Academy Master Class, offered this tip after viewing my Keyboard Settings video lesson. Thanks Kim! I really like the short cuts feature that you describe. I can see how it would really come in handy if you need to use a long and difficult to spell word or phrase that you are likely to spell wrong. For example…cnp could be “cellular neuronal plasticity”. It avoids the unintended correction of uncommon words or phrases…terrific! A friend recently told me she makes typing shortcuts for her personal email addresses. It works! It sure saves typing your whole email address especially when you switch from numbers to letters and back again. Good tip! Thanks Kathy, and please pass along my thanks to your clever friend.